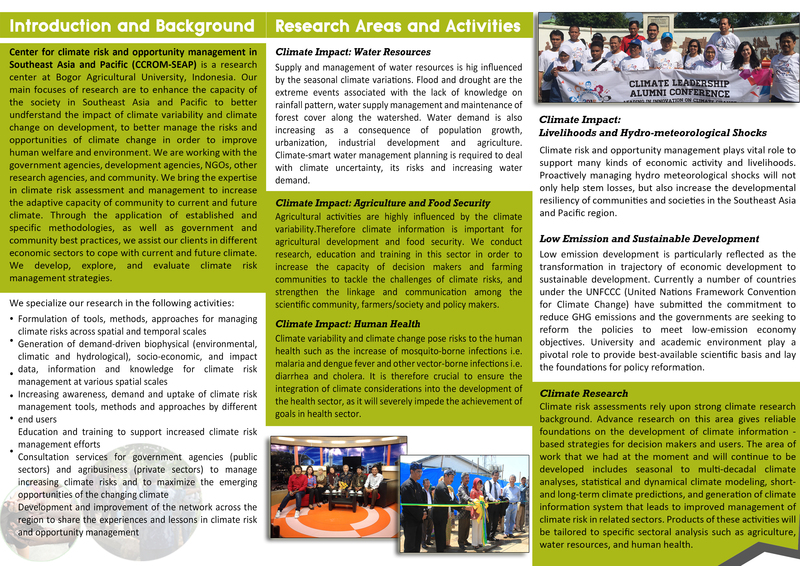 Climate field day was the last activity implemented as a part of TA ADB 7189 Package E Awareness Raising and Communications series of activities. The activity was conducted back-to-back with Journalist Workshop, on 18 April 2015 in Pulosari village, Pangalengan sub-district, Bandung District. 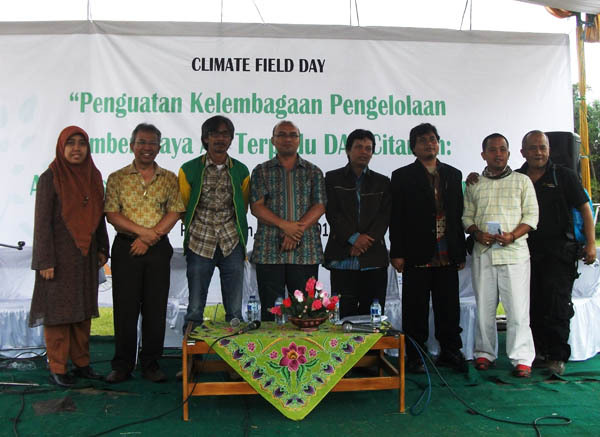 Climate field day was one day event aimed to enhance the better understanding of the participants related to the climate change issue in CRB, as a medium for exchanging and sharing the knowledge and experiences about climate adaptation and mitigation amongst the participants, and also to enhance the involvement of multi-stakeholder both communities lived in the area of CRB as well as government to develop ideas about the improvement of CRB in the future. More than 100 participants attended the event, both from the local community, governments (BPLHD Jawa Barat, Ministry of Environment, BLH in districts/cities), facilitator/environmental extension workers, medias, participants (community group) of CVI assessment, expert of TA ADB, and more. The event opened by the opening remarks from the Ministry of Environment, BPLHD Jawa Barat and Head of Pulosari village; and continued by talkshow with topic multi-stakeholders initiatives to support and improvement of village program and development in the area of CRB. Young people (elementary students) also showed special performance in the field day featuring some songs to remind us about caring the Citarum and conserve nature in general, and women groups display their products as side income to support the economics of the family. 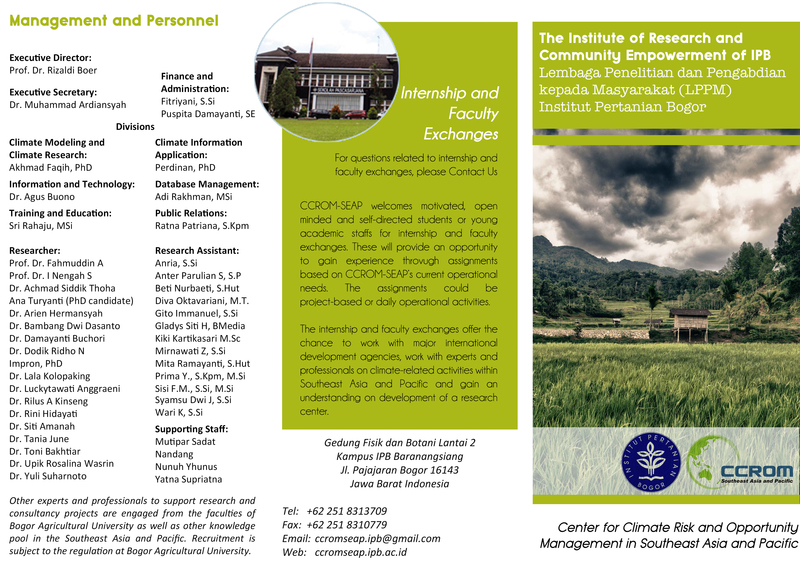 DesaPulosari, site location of field day has a green landscape and wide area of forestry. The Village Head supported the green mission and this influence the community to take into account to conserve land, water, and environment.